The latest song of Bruno Mars so you can play it anywhere. Click on the following link in order to get the ringtone: 24K Magic - Bruno Mars. Woooooooo!. 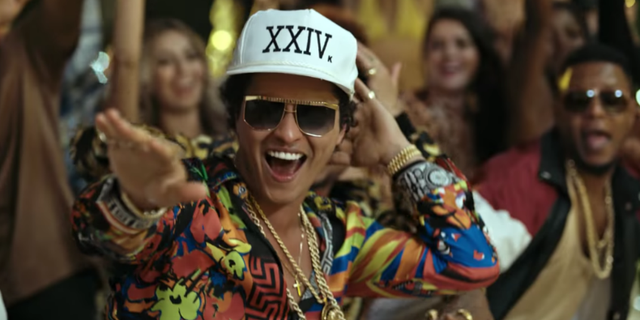 A new song of Bruno Mars has just been released and its name is 24K Magic. The funk song celebrates glitz and glamour, and in the video we can see Bruno all dressed-up in silk having a blast with his friends in Las Vegas. This is the perfect song to start a celebration and you can have it in your smartphone or iPhone for free!.